An Alaska man was arrested in Sioux Falls for possessing CBD oil. Law enforcement officials say CBD oil is illegal in South Dakota. CBD is a compound found in cannabis plants—both marijuana and hemp. It appears in products like lotions and drinks and appears in health stores, spas and coffee shops. It’s the first such arrest after Attorney General Jason Ravnsborg issued a clarifying statement saying current state law makes all forms of CBD oil illegal. Others say the law is not so clear. Bernard Davis as he was boarding a plane for Alaska. He was arrested for possession of a controlled substance. According to Sioux Falls Police, that substance was hemp oil, which contained cannabidiol—or CBD. Davis is charged with a class 5 felony. He plead not guilty in his first court appearance. Sam Clemens is the Public Information Officer for the Sioux Falls police department. Clemmons says police are seeing more hemp and CBD oil in the state. Last month, Attorney General Jason Ravnsborg issued a statement reminding the public that South Dakota law makes industrial hemp illegal and all forms of CBD oil illegal. Hemp is a member of the cannabis family, which falls under the definition of marijuana in state statute. The AG’s office says “CBD oil is produced from the flowers and therefore falls under the definitions" of marijuana. On SDPB’s South Dakota Focus, Ravnsborg said he’s been talking with nutrition stores that carry CBD oil around the state and reminding them it’s still illegal. During an annual update to the state’s classification of scheduled drugs, lawmakers struck cannabidiol from the list. In it’s place they inserted the name of an FDA approved CBD drug called Epidiolex. State Senator Deb Soholt is chair of the Senate Health and Human Services committee. She says lawmakers used cannabidiol in state statute as a place holder. Meaning, approved by the FDA. She says the state still needs to write the rules on CBD. However, some say the state legislature cleared the way to possess CBD oil in that bill. Because the state removed cannabidiol from the schedule, that leads some to believe CBD oil—in general—is legal and no longer scheduled. A cannabis reform group in the state says it wants clarity. Melissa Mentele is the executive director for New Approach South Dakota, which lobbied in favor of striking cannabidiol from state statute. Mentele says they’re seeking declaratory judgement on the issue. Normally, state laws go into effect on July first. 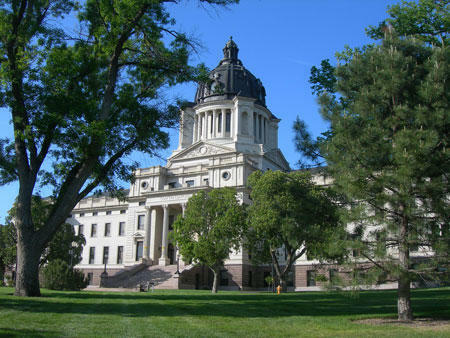 But this bill had an emergency clause, which means as soon as Governor Kristi Noem signed it February 8, the bill went into effect. “The status of the law right now, at best, is very confusing," says Libby Skarin, policy director for the ACLU South Dakota. She says she’s not certain how the Attorney General is interpreting the law. Skarin says the ACLU wants the attorney general to clearly explain how they’re drawing the conclusion of the legal status of CBD oil. Especially, when someone is charged with felony possession of the compound. And as CBD gains in popularity across the country, it’s likely the South Dakota courts will decide the future of the compound in the Rushmore state.